With as much as the community has been growing lately, it’s no wonder that many people are interested in homes for sale in Nixa, MO. In fact, Nixa is considered one of the fastest-growing cities in Missouri, experiencing a population increase of 353% over the past 20 years. While the population still sits near 20,000, small compared to Springfield and other metropolitan areas in the state, its continued growth suggests that it may not take long for it to become a burgeoning hub like those other areas. If you’re in the market for a new home in Nixa, there are a lot of reasons to consider it, and, below, we share more details about this great city located barely 10 minutes south of Springfield! Nixa began as a crossroads hub where travelers between Springfield and Arkansas would settle. As more people gathered there, they gave it the name Faughts. Once a post office was built in the settlement, the people held a meeting to establish a new name. They decided to go with “Nix,” a combination of the name Nicholas, for a local blacksmith, and an “x” because the town was viewed as a crossroads. The additional “a” would come later, and the town was incorporated into the state in 1902. One reason to consider looking for homes for sale in Nixa, MO is for its high-quality education and strong prioritization of academic excellence. The town is home to many public schools, including one high school. These schools are considered some of the best in the state, and for the last five years, they’ve received both the MIssouri Department of Elementary and Secondary Education’s Distinction in Performance Award. Other achievements include: the fourth-ranked high school in the state for performance on the Missouri Assessment Program testing, and the fifth-ranked junior-high for performance in the field of science and 8th in math. For as many schools as there are in the state of Missouri, these are fantastic accomplishments! Only a short drive south of Springfield, Nixa offers easy access to both Springfield’s south side, which has recently seen an influx of restaurants catering to the commuting crowd. Places like Black Sheep, Big Whiskey’s, Hurts Donut, and more have all opened southside locations within the past few years. Others will want to find a nice getaway in the beautiful hills of rural Missouri. For them, Nixa offers easy access to Shelvin Rock and the Two Rivers Mountain Bike Park. McCauley Park, located at the Nixa Community Center, also offers an outdoor disc golf park, soccer fields, a pool, and so much more. Are You Interested in Homes for Sale in Nixa, MO? If you’re in the market for a new place to live, why not look at homes for sale in Nixa, MO? With outstanding education and so many places to explore, hang out, and have fun, it’s a great place to start a family. 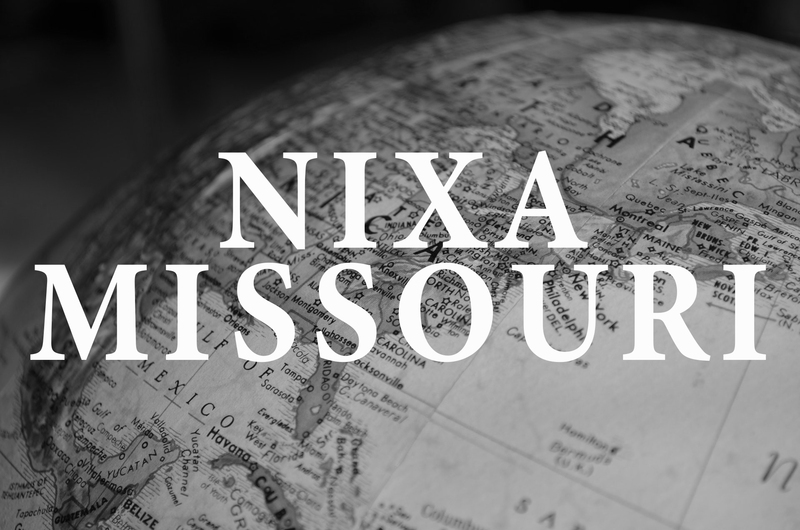 And because Nixa has very good planning in place to maintain their infrastructure as they grow, you can feel confident and secure about your future there. To learn more about homes for sale in Nixa, MO, get with a member of The Dan Holt Team today. Click here for homes available in Nixa.